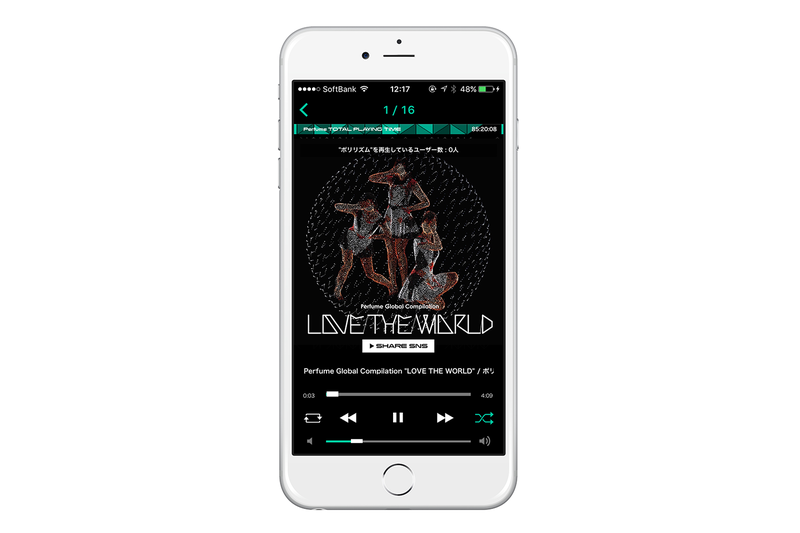 A smartphone app exclusively for listening to Perfume’s music. 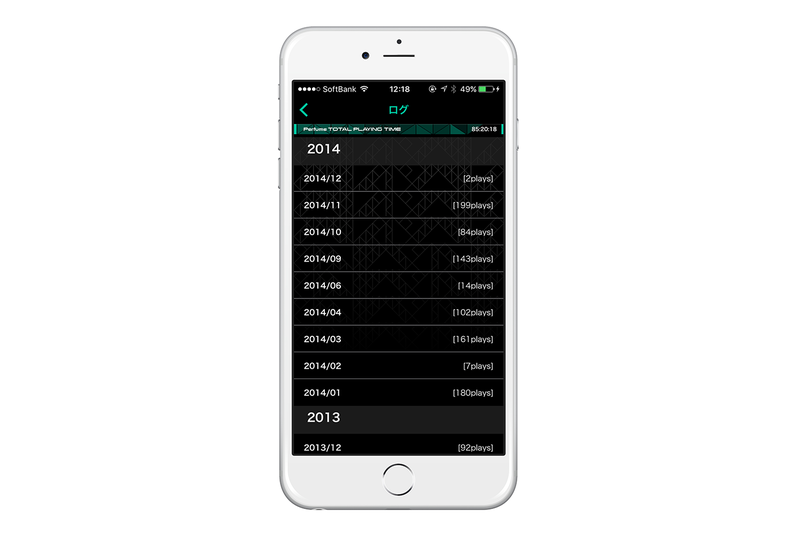 The app automatically reads music data on the user’s device and plays Perfume’s tracks in a specialized interface. Eschewing the typical functions of conventional players, the app instead logs the data and time when a particular track was opened, displays how many other people are listening to the same song at a given moment, and shares information on trends such as the most listened to hits. 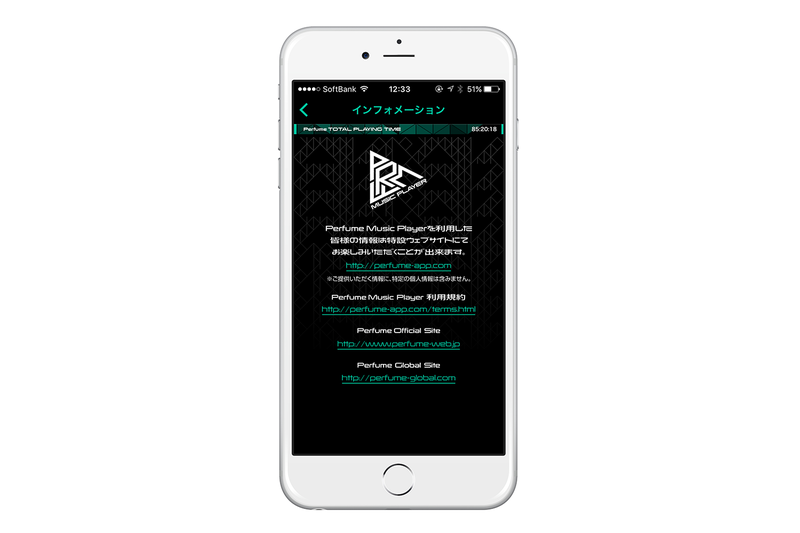 Through the app, users can share information on the currently playing track directly on Twitter and Facebook, as well as unlock a collection of images based on their total time spent enjoying Perfume’s music.